A vivid white, textured with a soft wave-like pattern, this linen is pristine and luxurious comfort. 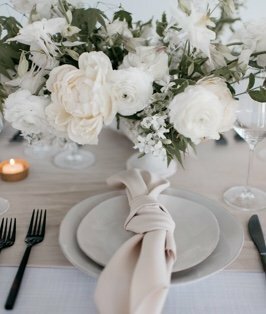 Snow Crest creates a modern and comfortable tablescape. Inspired by the view outside a cozy cabin window, this linen will revive your senses like the quiet crests of a snowy landscape.